Android is definitely the leading smartphone platform available at present. To make this platform the best, developers never fall short of creating the most innovative app, brining the entire productivity level of a basic Android handset to the next level. Equalizer is such an app and caters very well to the music inclined users. Brought to life by Smart Android Apps, LLC, this developer has made the utility category its forte and have churned out some very neat apps in the past, though the ratings and the download number certainly rides in the favor of Equalizer. 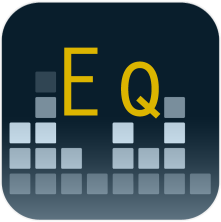 The Equalizer app gives the user complete control over their Android Device. It totally helps in improving the sound and quality of the tablet or phone with the integration of the first global Equalizer app. The app allows the user to adjust sound effect levels to achieve the optimum sound setting out of the audio being produced from the device. The app features a plethora of options ranging from 11 stock preset, 5 Band-level Equalizer Controller, Bass Booster, Virtualizer, Reverb Presets, Power-Mode option to enable/disable effects, and a ton of other settings that will satisfy your hunger for maximum customization. Equalizer also packs-in some features that make it earn those super brownie points. It is very well integrated with the stock Android Music Player, works while streaming music with apps like Pandora, Spotify, etc. Also, the app works well with the A2DP Bluetooth headsets for a perfect wireless music experience. The free version has some limitations and includes only Stock Presets, such as, Normal, Classical, Dance, Flat, Folk, Heavy Metal, Hip-Hop, Jazz, Pop, Rock, Latin (New). The full version includes some other preset functions that adds a wee bit more of functionality. People who love the visuals, well the user-interface of this app will just not let you down at any cost. Overall, Equalizer is one neat app and is very well built. The developers have done a great job with this production and unlike other equalizers, this app really does a task and improve the overall sound quality output. A personal rating of 4.5-out-of-5.